My interest in gifs sparked a connection with the creator of the Heartbone, a mini-gif player that can fit in the palm of your hand. He offered to rework the hardware a bit for me to be able to display gifs in the gallery. 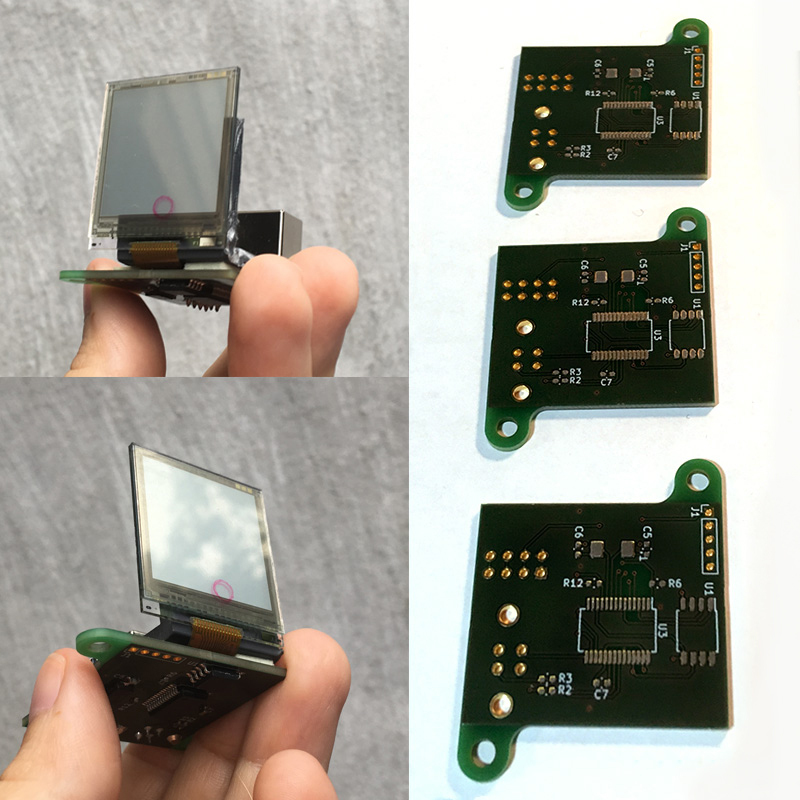 We finally got together to populate the custom PCBs, and realized one connector piece got flipped in the redesign. Not a huge problem, since I can design the housings to accommodate the hacked fix: we have to mount the screens at 90° to the PCBs. In a future production run this can be changed, but since time is a little tight for this show, we can make it work. Every experiment has unexpected issues, but there are so many reasons to love experimenting with these little devices– I can’t wait to get them flashed to start playing with timing and transitions for the gifs I’ll be running.